The finest quality ground Fenugreek. Fenugreek is a plant in the family Fabaceae. Fenugreek is used both as an herb (the leaves) and as a spice (the seed). It is cultivated worldwide as a semi-arid crop. It is frequently used in curry. Fenugreek is believed to have been brought into cultivation in the Near East. Charred fenugreek seeds have been recovered from Tell Halal Iraq (radiocarbon dating to 4000 BC) and Bronze Age levels of Lachish as well as desiccated seeds from the tomb of Tutankhamen. The rhombic yellow to amber colored fenugreek seed commonly called maithray is frequently used in the preparation of pickles curry powders and pastes and is often encountered in the cuisine of the Indian subcontinent. The young leaves and sprouts of fenugreek are eaten as greens and the fresh or dried leaves are used to flavour other dishes. The dried leaves have a bitter taste and a strong characteristic smell. In India fenugreek seeds are mixed with yogurt and used as a conditioner for hair. It is one of the three ingredients of idli and dosa. It is also one of the ingredients in the making of khakhra a type of bread. It is used in injera/taita a type of bread unique to Eritrean and Ethiopian cuisine. It is also sometimes used as an ingredient in the production of clarified butter which is similar to Indian ghee. 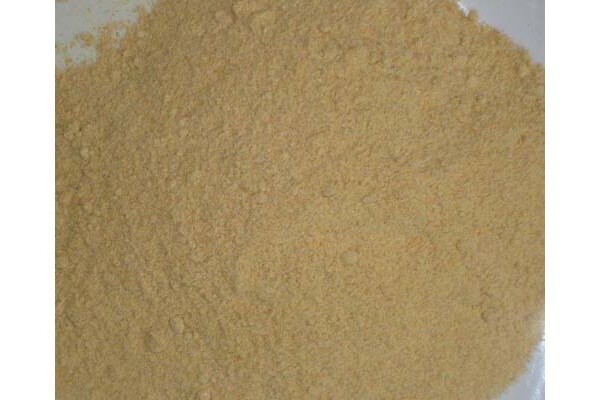 In Turkey fenugreek gives its name çemen to a hot paste used in pasttrma. The same paste is used in Egypt for the same purpose. The Arabic word hulba for the seed resembles its Mandarin Chinese counterpart hu lu ba. In Yemen it is the main condiment and an ingredient added to the national dish called saltah. Fenugreek or shanbalîleh in Persian is also one of four herbs used for the Iranian recipe Ghormeh Sabzi. In Egypt fenugreek seeds are prepared as tea by being boiled then sweetened. This is a popular winter drink served in coffee shops. In other parts of the Middle East fenugreek is used in a variety of sweet confections. A cake dessert known as Helba in the Islamic world is a tasty treat during Islamic holidays. This is a semolina cake covered in sugar or maple-like syrup and sprinkled with fenugreek seeds on top. Jews customarily eat fenugreek during the meal of the first and/or second night of Rosh Hashana (The New Year). It is eaten with a prayer "that our merits increase". Yemenite Jews often prepare a foamy substance from fenugreek seeds that they add to soups. In Bulgaria fenugreek seeds are used as one of the ingredients in a traditional spice mixture called sharena sol. In the United States where maple syrup is popular but expensive fenugreek is widely used in lower-cost syrup products as a maple syrup flavoring such as Mapleine.